When I first met with Ashly for Food Coaching, I remember arriving late, stressed, and living life at such a fast pace I could barely finish a sentence before my brain would jump to the next thought. My only goal in getting to that first session was so that Ashly could “instantly” get this extra weight off me… Zap me skinny! “How do you do life”? I had to answer chaotic, stressed, unorganized and at a fast hectic pace! From our first session, Ashly helped me slow down and look at every aspect of my life! One of the most profound things I realized was the lack of boundaries in my life. In setting boundaries I came to realize that in order to heal and be emotionally healthy I had to let go of some toxic relationships! I never realized how much time and energy those relationships were draining me emotionally! At first, it felt like such a loss (which was scary for me) but I came to realize it opened the door for healthy relationships to form! By working with Ashly, I am now asking myself questions about me and my life rather than constantly asking others to figure out my life for me. I now realize I was not actively participating in my own life. I was just living life mindlessly, quickly, and stuck in the past or the future, but never in the moment. There is so much more joy and calm serenity by living in the present moment! By slowing down, I am able to enjoy the “little” everyday moments that were always hidden because of my hectic lifestyle! I am a work in progress! Each day I learn more about myself! Thanks to Ashly, I now realize that the extra weight I have been carrying is really less about food and more about “How I do life”! Words can’t begin to express my gratitude for Ashly’s wisdom in transforming my life. I appreciate her wisdom but it is her patience, encouragement and non- judgements that I look forward to each time that I work with her! At first, I was so unhealthy emotionally that “Baby Steps” were all I could do. Ashly knew that, and she was patient but started planting “Little Seeds” along my journey! Those “little seeds” now “pop up” in my head when I start reverting back to my old way of doing life! I am now learning to “love myself” and nurture my “inner queen” …. and when I catch myself veering to being a “Princess” and doing life like I was accustom to in the past, I can almost always here Ashly’s voice in my head veering me back to the life I always dreamed of living! If I could pass one bit of knowledge I have been blessed to have received from working with Ashly, I would encourage others to invest in your life, take the time to do some challenging but very rewarding work in your life! You are so very worthy of it! In October, Ashly first measured me and my goal was to lose 15 pounds, exchange fat for muscle and increase my metabolism. I am so excited to share with you my news. Ashly measured me for the 2nd time last week at the end of January, only 3 months after my first measurement. I have lost 15 inches of body fat, in the normal weight range of BMI and in the normal range of fat to muscle percentage. My energy level has increased, my clothes fit so much better and best of all I feel great. I have stuck with Ashly’s program because I enjoy the positive encouragement I receive from Ashly. After this last measurement and receiving such positive results, I am feeling like a Rock Star. After many years of searching for someone to really understand me I was blessed with meeting Ashly. She saw something in me that I had many times try to tell people and they just did not see, I am basically shy. Words cannot adequately express what it meant to me when Ashly agreed with me and acknowledged what for so many years I was longing for. She shows acceptance, gives validation, direction and love in her sessions and has the gift of seeing the core of me. I am now on the road to real healing and honestly feel that without Ashly I would have kept searching with no success. Thank you so much for your beautiful soul and understanding and acceptance which in turn helps me to accept myself. You are a precious gift. -Suzy D.
Ashly, I just wanted to thank you for taking the time to speak with my group. You covered everything from being health-conscious about food selections to simple little things like movement in the workplace for health and wellness. The information was very useful, and I hope you will be able to come again. I would love to utilize you for even longer the next time, as my schedule was so tight this time. I know you have a wealth of knowledge to share and our group, as well as myself, would love to hear more! 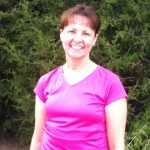 -Angela H.
“From our first session, Ashly helped me slow down and look at every aspect of my life! One of the most profound things I realized was the lack of boundaries in my life. In setting boundaries I came to realize that in order to heal and be emotionally healthy I had to let go of some toxic relationships! If I could pass one bit of knowledge I have been blessed to have received from working with Ashly, I would encourage others to invest in your life, take the time to do some challenging but very rewarding work in your life! You are so very worthy of it!” -Lisa B. 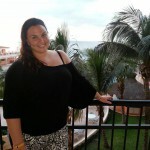 “I have been doing Ashly’s Bootcamp for almost 3 months now and I have increased stamina, strength and confidence! Ashly does an amazing job of tayloring the workout to meet my goals and abilities. The Bootcamp has been a mind/body/soul workout! 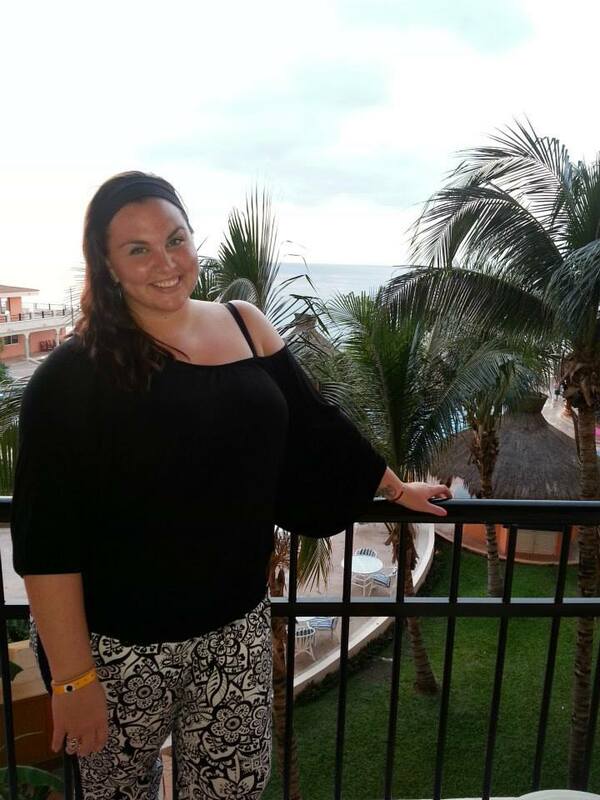 Ashly’s knowledge about the body and health is evident as she shares advice about how to make healthy choices throughout the day and in preparation for a great workout! I am so thankful that I made the choice to join!” – Susan S.
“I have been working out with Ashly Torian for almost 2 years. I absolutely love the experience! I come home feeling proud of completing a challenging work out, I feel relaxed, and I feel like I have had fun with friends. I have changed several things about how I live; what I eat, the way I eat, relaxation techniques, exercise regimen, and my overall attitude toward healthy living because of what Iʼve learned from Ashly. I did go down in two dress sizes after beginning with her and have maintained my size ever since. Three things that I particularly like about Ashly is her professionalism, her caring nature, and positive attitude.” -Mary D.
When you make a decision to make a change in your life goals will be more easily met if you acquire an accountability partner. Online Training was that partner for me. I don’t work well on my own. I need someone to remind me of my goals and to encourage me. Ashly did both of those things for me. Her weekly calls and emails were essential to my progress. Because I logged my meals online she was able to assist me in my food choices and make suggestions. Although I was still doing the actual workouts on my own she emailed demonstrations of the exercises and was available to answer any questions I had so I still felt connected to someone. One of the strengths of Ashly’s program is her encouragement to set goals. Sure weight loss goals, but more than that – how do you want to feel in 3 months, do you want to pull the skinny jeans out of the back of your closet, do you want to keep up with your toddler or grandchild, do you want to raise your arm without that flab flapping in the wind, do you want to wear a tank top in the summer or slim fitting t-shirt, do you want to make that cholesterol number or whatever come down, do you want to get up off the floor without help. To some people these seem small, but to those of us wanting to do them, and to Ashly, they are life changing. You don’t have to go to a gym (although you can), you can schedule your workout when it is convenient for you and your family, you can workout in the privacy of your own home 300 miles away from your trainer and still get results. That’s why Online Training worked for me. Thanks, Ashly! -Jamie O. 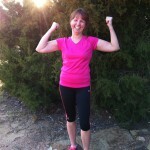 “Bootcamp is fun, hard, challenging… but more importantly it works!! It has helped me lose weight and inches and given me workout confidence i have never had before. Ashly monitors each person and gives options based my individual needs. She cares about the whole package — eating right, work/life balance, supplementation and of course, exercise. Her program challenges me each time and the results are in the size of my jeans AND the number of push ups i can do now! !” –Tracey A. “I want to thank you for bringing this incredible group of ladies together each week and for carving out a few hours a week to create such a healthy environment in which we can discover ourselves. I don’t just mean physically, but spiritually, mentally, nutritionally. 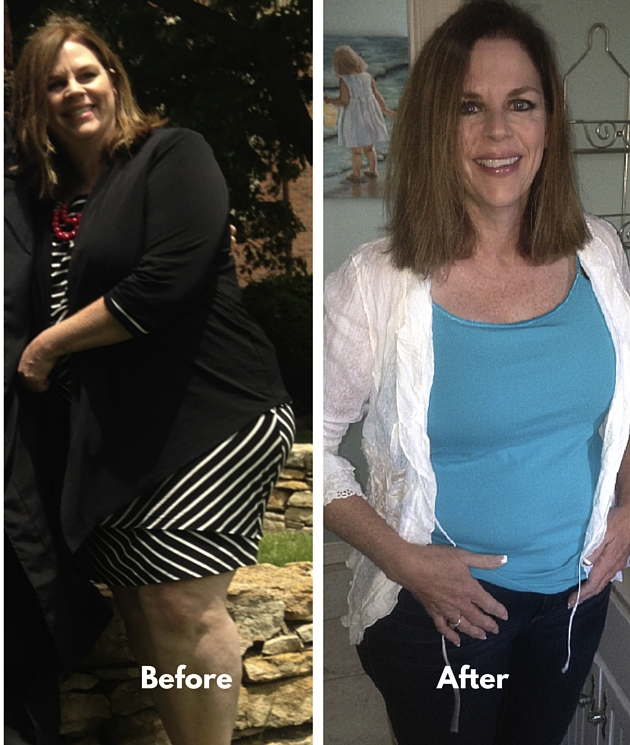 ” –Melissa W.
“I have now been at Ashly’s Boot Camp for almost 2years! I love it! 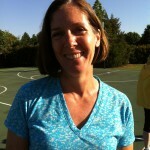 I originally joined because I wanted to get in shape for my wedding in Nov 2011. And she helped me to succeed!! I started a size 12 in August 2010 and by Nov 2011 I was a size 6!! I met my goal! “As a 38 year old mother of two kids, having been recently diagnosed with high cholesterol, I knew I needed to take action to improve my health. I am not athletic and have never really been a part of a consistent workout regimen. I have been attending Ashly’s boot camp for about 6 months and have noticed an improvement in my strength, increased energy level and have toned my body. I have lost a total of 10 inches and 5 pounds and 5% body fat! Others have noticed and that is a great feeling! 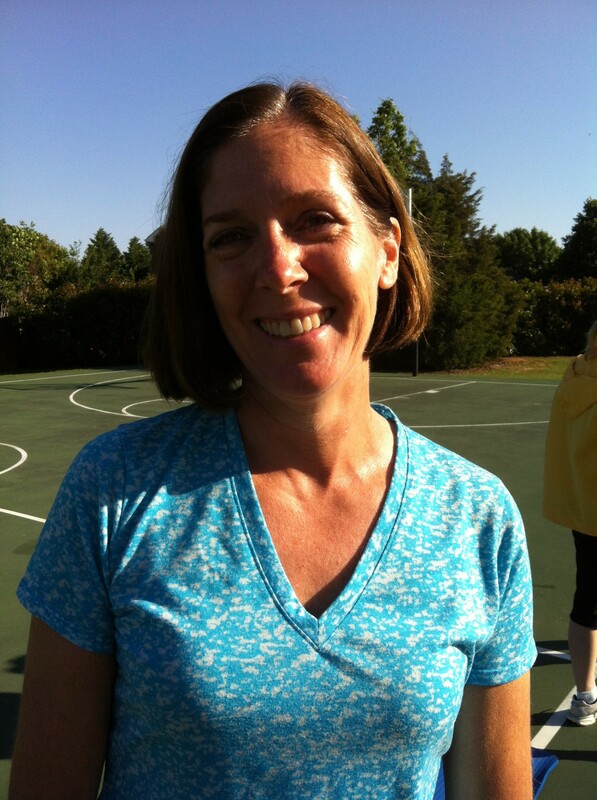 This boot camp is motivating, challenging and I love it!” -Julie C.